Annie Allen graduated from the University of North Carolina at Chapel Hill with a Bachelor of Science in Business Administration in 2005 and the University of Florida with a Master of Business Administration in 2013. Annie began in clinical research in the University of Florida Department of Neurology, Movement Disorders Center. 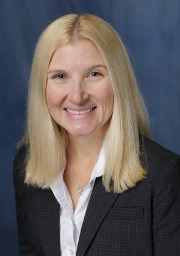 She has also worked as a Community Research Associate in Orlando for UF’s Clinical and Translational Science Institute, and as Clinical Research Manager at UF’s Institute on Aging. Outside of the University, Annie was a Project Manager at Health First Medical Group, and Sr. Business Process Consultant for Health First, Inc. in Melbourne, Florida. Annie is an ASQ Certified Six Sigma Green Belt and an ACRP Certified Professional.